Peggy Snow. “Fall of the old Father Ryan”. 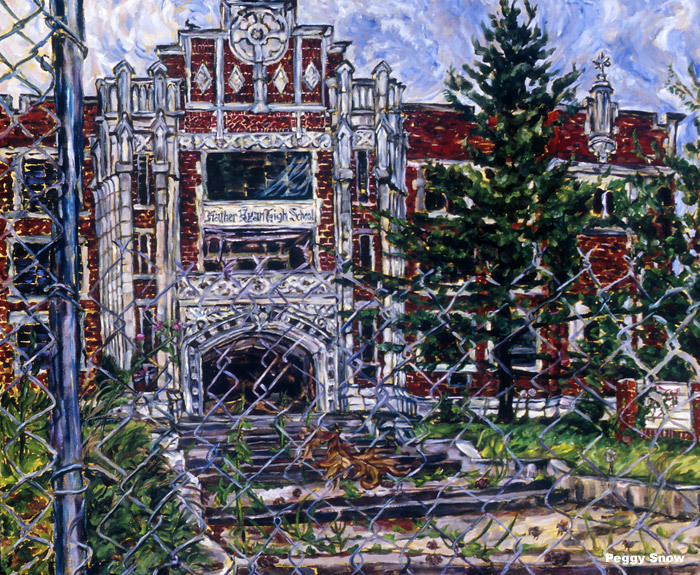 1995 oil on canvas, 30"x36"
This was a beloved high school in Nashville, which was bought by Hampton Inn, a chain hotel, and demolished even though it was in good shape. Now it is an empty parking lot far behind the hotel.